I love love love when he curls up on me like this. I think he likes it, too. Awww enjoy it! I wish my 9 year old son would do that…..but somehow, I doubt that he will He’s already hit that pre-teen phase. It goes by soooo fast! At first glance I thought it was a picture of Maddie. I think James is going to be a snuggler like his big sisters. 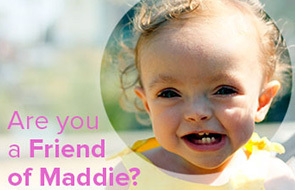 Yes, I see Maddie all the time! Maddie always curled up like this on Heather. I knew this baby would be like Maddie.James looks like Maddie and behaves like Maddie too. Maddie hardly ever cried and was very happy always. James skin color also like Maddie. I am so glad for you Heather! You can see and feel Maddie every moment. Perfect baby! Ohh, but if that is not the BEST PICTURE…EVER!!!!!!! So precious and so perfect!! Look at those sweet, baby neck wrinkles…just makes you want to snuggle in. Such a sweet picture! That is my absolute favorite thing about babies! Love.